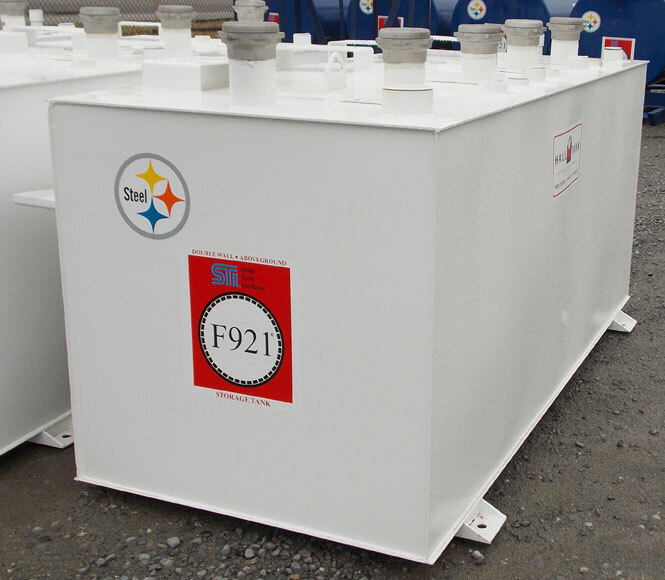 Rectangular lube tanks provide an economical advantage and offer convenience by allowing you to store several different types of oil, fuel, or diesel in one central location. These tanks allow you to buy in bulk and store supplies for a longer period of time. Handy drip pans on the front of the tank catch liquids to keep them off the floor, saving you cleaning time. These tanks are commonly needed by equipment rental and storage firms, lube firms, and trucking maintenance firms.